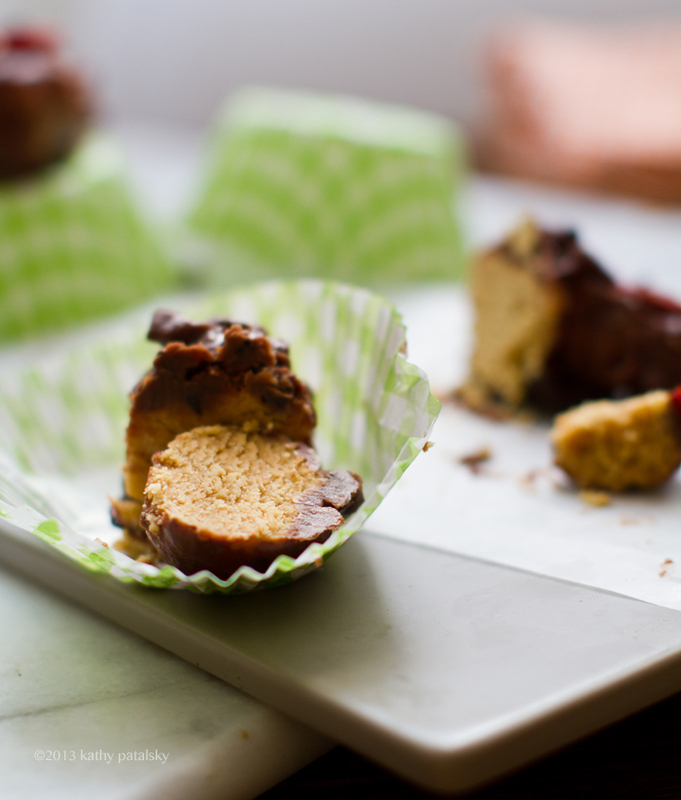 Velvet-y soft peanut butter coconut-accented filling with a soft dark chocolate coating. 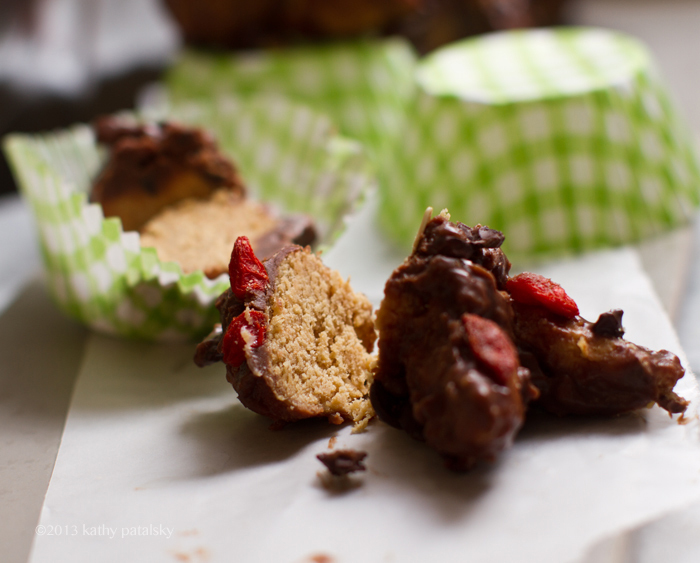 Rich cacao nibs and other goodies can be added too. 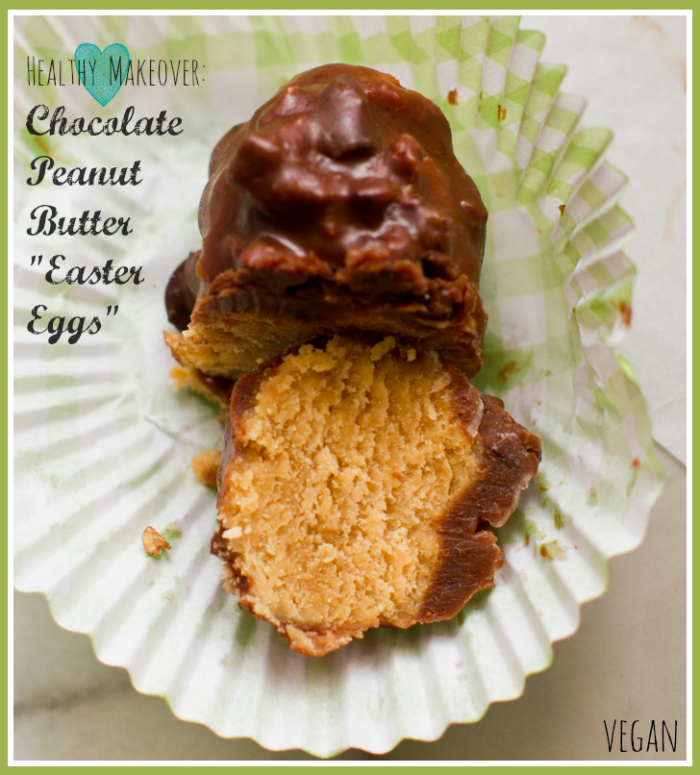 One bite and your "peanut butter chocolate egg" Easter memories will come flooding back. Y-um. 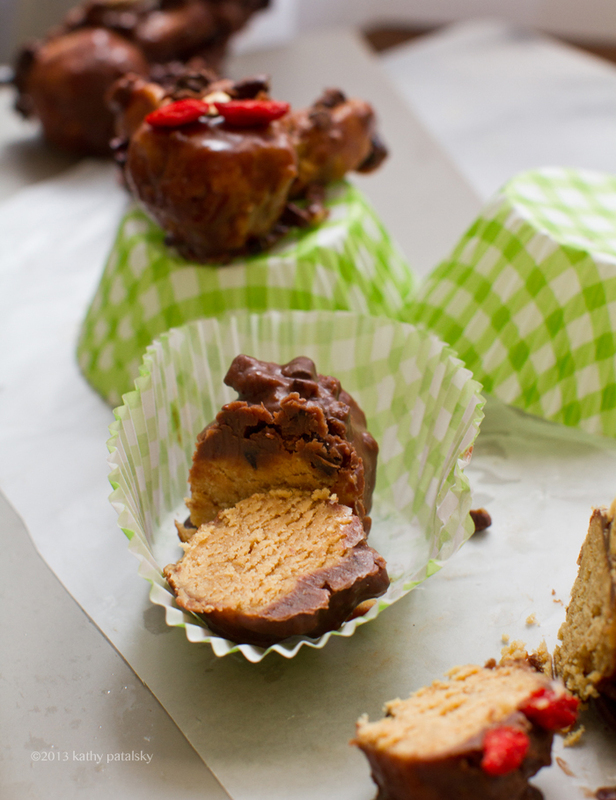 And FYI, do NOT be intimidated by confection-making - obviously you can make these truffles as refined and perfect or rustic and homemade (ha, me!) as you'd like. 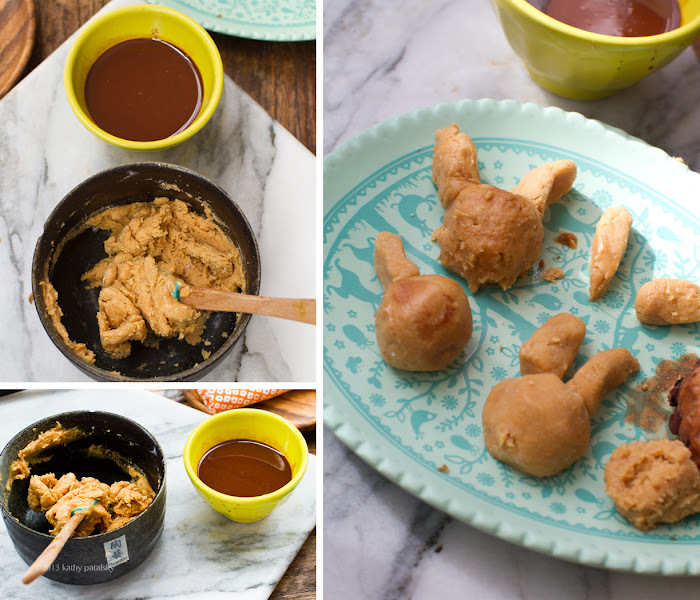 No special egg-shaped molds or candy gadgets needed. I say: they do not have to look perfect to be super cute & delicious!.. 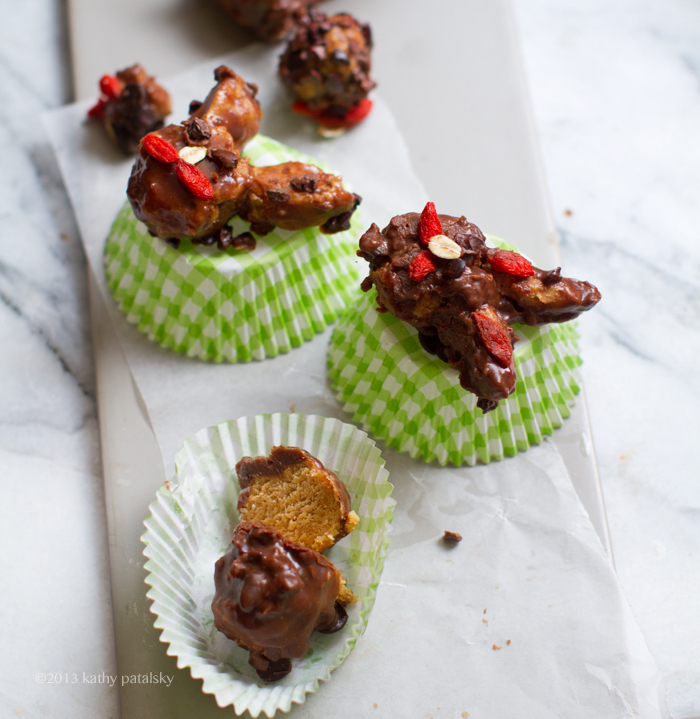 Seriously, this recipe is healthy-tastic and you can gobble these sweet treats down guilt free. 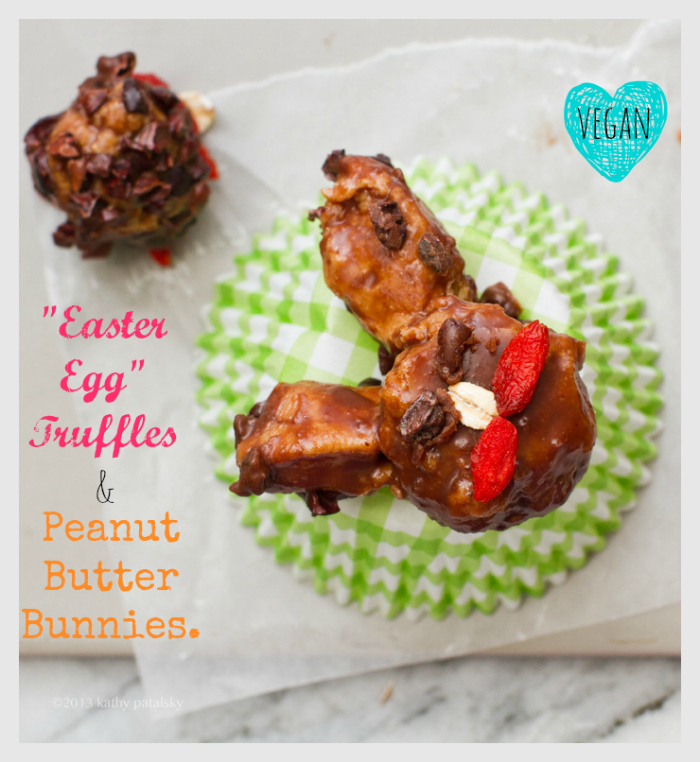 I don't think you can say that about the classic super-sweet non-vegan chocolate peanut butter eggs. 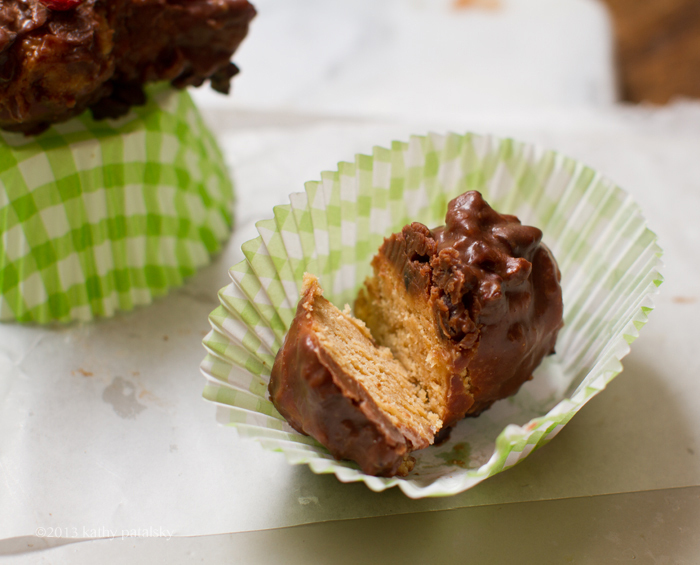 And in these treats the peanut butter filling is really the star of the show (because that is always my fave part!) Get these recipes. Some bunnies turned out better than others. But they are all delicious!.. OK, I have TWO more Easter posts to get up by this weekend so I am making this post a quickie guys. OK, maybe one cute side photo just for fun..
1. 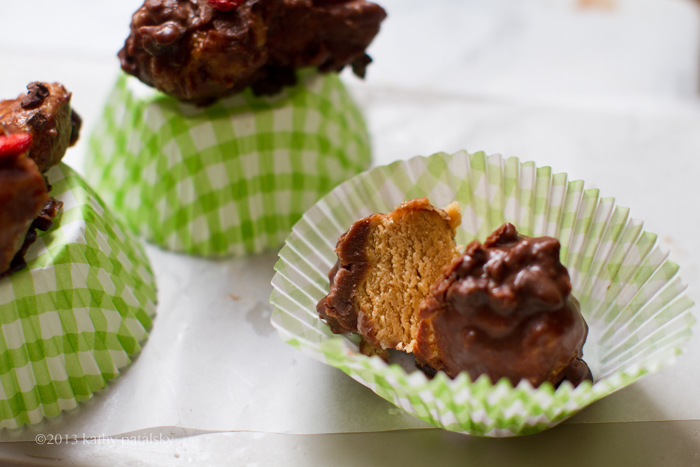 Combine the peanut butter, coconut flour, coconut oil and maple syrup in a small bowl. This is your yummy filling! 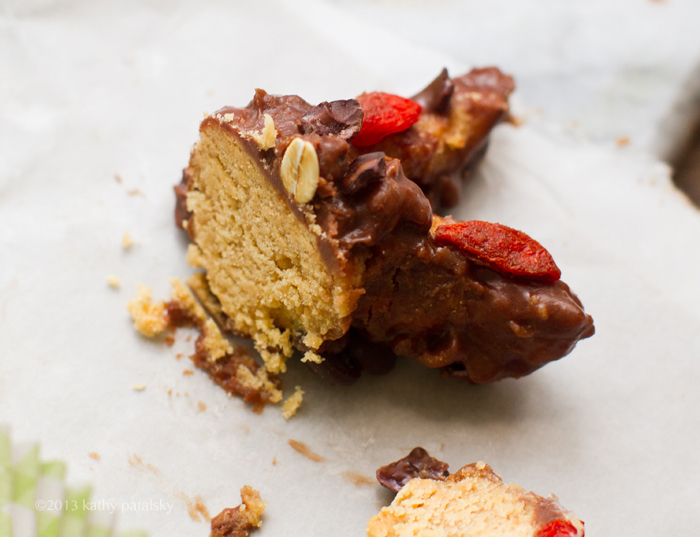 (FYI it also makes yummy no-bake peanut butter cookies!) 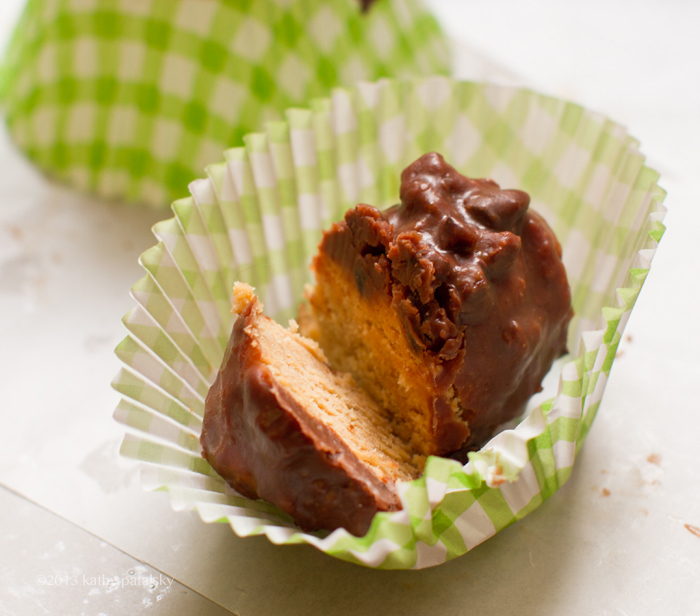 Stir mixture until a thick peanut butter paste forms. If things get too thick, you can add in more peanut butter or a splash more maple syrup. 2. 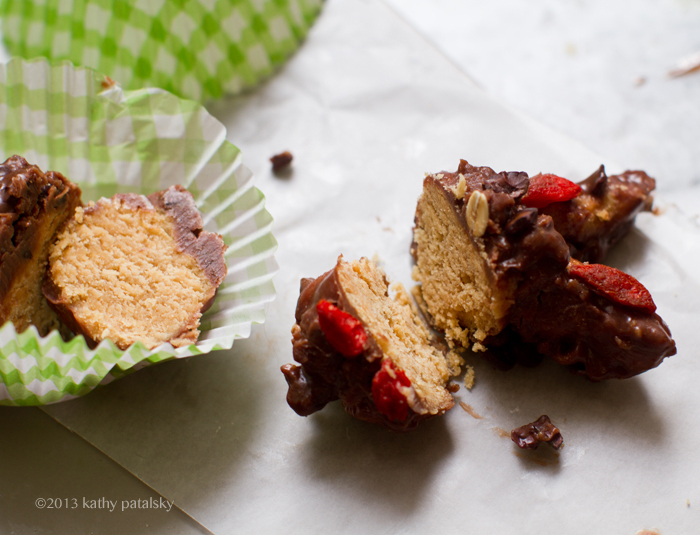 Place the peanut butter mixture in the freezer for about five minutes. 3. 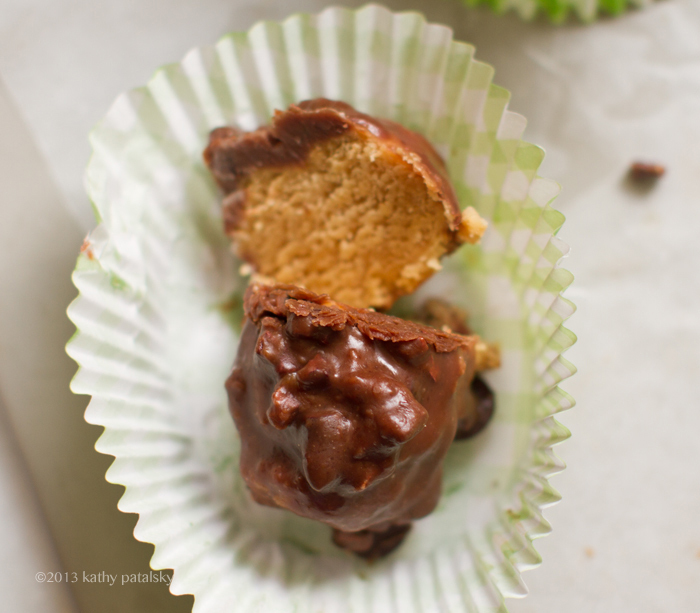 While chilling peanut butter mixture, you can melt the chocolate and coconut oil together. I simply use the microwave. Actully my microwave died last week so I melted the old fashioned way by submerging the jar I had my chocolate and coconut oil in in a bowl of really HOT water from my tap. I stirred until melted. It worked! 4. Pull the peanut butter from freezer and it will be very stiff. Start rolling into shapes. Bunny heads (round) bunny ears (long skinny) and eggs (round and egg shaped) - they do not have to be perfect to be cute and delicious! 4. 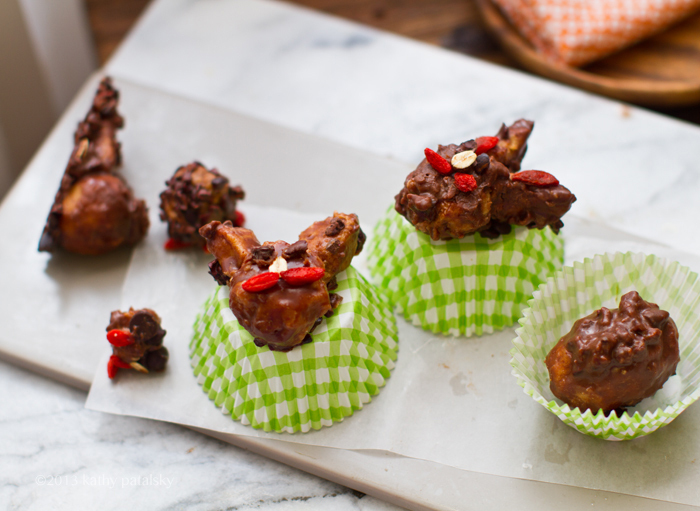 Place these bunny and egg parts back in the freezer for a few minutes to chill again - your hand will have warmed the mixture up, and the chocolate attaches best when the pb is chilled. 5. Pull chilled bunny parts and eggs from freezer. Dip in chocolate coating mixture, connect ears to faces via the hardening sticky chocolate - they will fully connect upon firming up in the freezer. 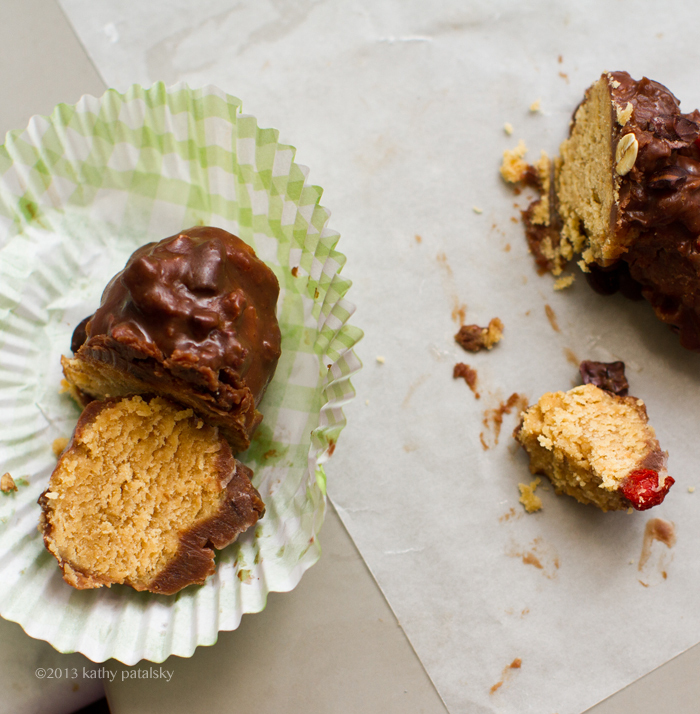 Place them on wax paper or parchment paper or a greased/chilled plate. I did double dipping to coat more thickly. 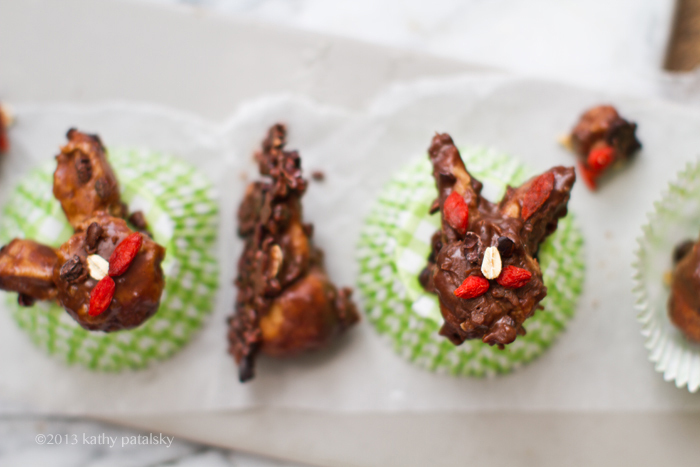 You can roll your eggs and bunnies in cacao nibs for texture if you'd like. 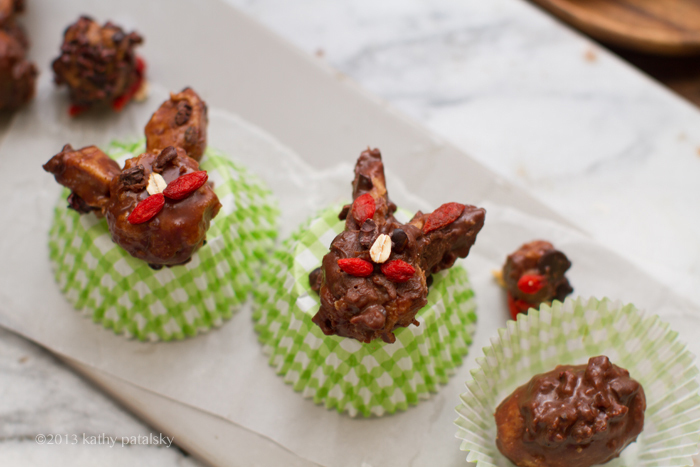 While the chocolate is still wet, add any bunny features like noses or whiskers. 6. Place in freezer to harden. This should take about 1-2 minutes in a cold freezer! Serve chilled to room temp as they start to melt and soften. Store in the fridge or freezer. Best eaten same day. OK, those bunnies were scary. 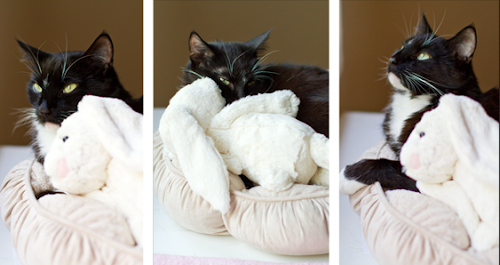 See my CUTE-er bunnies here: Bunny Redemption.